Global communications services provider British Telecommunications announced a global partnership with Hitachi Vantara, a subsidiary of Hitachi Ltd. Global communications services provider British Telecommunications (BT) on Tuesday announced a global partnership with Hitachi Vantara, a subsidiary of Hitachi Ltd, to co-create innovative solutions in the area of industrial and enterprise Internet of Things (IoT). A logo of Hitachi Ltd. Reuters. BT is aiming to combine its global network infrastructure, Cloud and cybersecurity capabilities with Hitachi's operational and information technology expertise, 'Lumada' IoT platform, integrated IoT services and solutions portfolio. "Our partnership with Hitachi will help BT to accelerate innovation and ease the path to digitalisation and IoT for our customers around the globe," said Bas Burger, CEO Global Services, BT, in a statement. The companies will focus on designing asset intelligence and predictive maintenance solutions to deliver solutions for customers in industry sectors such as manufacturing and transportation. 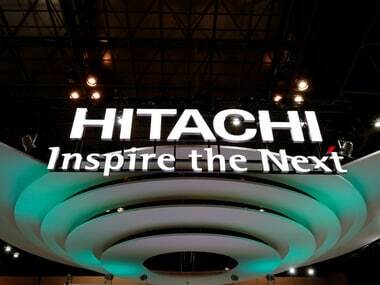 "We see the creation of strategic partnerships with leaders and market makers like BT as critical to Hitachi's IoT strategy," added Ryuichi Otsuki, CEO at Hitachi Vantara. The companies expect the first business solutions resulting from the collaboration to be available in the first quarter of 2018. Headquartered at Santa Clara, California, Hitachi Vantara was launched last week to deliver data-driven solutions for commercial and industrial enterprises.